Our partners at Christie's International Real Estate highlight six luxury properties in their Luxury Defined series. We loved their article this week on artistic architectural buildings. Check out the pictures below and the full article here. Pierre Cardin's iconic Bubble Palance was designed by Hungarian architect Antti Lovag. The unique living spaces are composed of interconnecting terracotta orbs which flow into beautiful gardens overlooking the Bay of Cannes. Chesa Futura (house of the future) is the innovative creation of Pritzker Prize-winning British architect Dir Norman Foster. 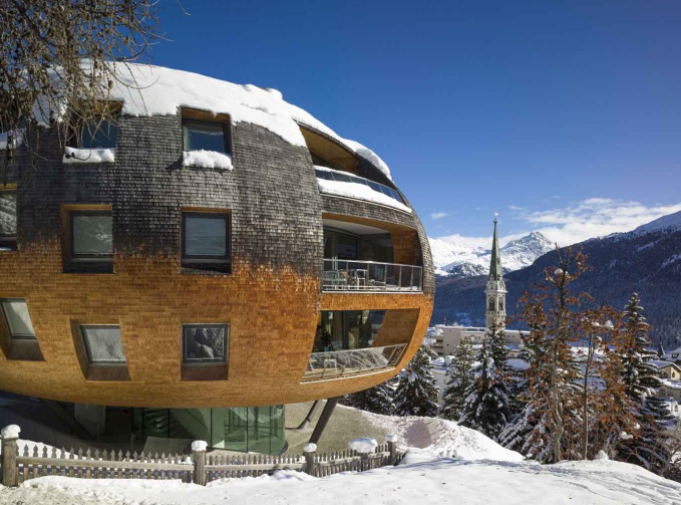 The dynamic bubble-shaped building comprises five ultra-exclusive apartments overlooking the Swiss Alps and the village of St. Moritz. Ski the Future is a triumph of design overlooking Lake Tahoe and the Sierra Nevada. The striking 8,880-square-foot residence that stands at the center of Shining Hand Ranch is a work of art handcrafted from exotic wood and river rock to evoke the flow of nature. The recipient of a Nobilis prize for architecture, the St. Lawrence Estate, a contemporary ski retreat in Quebec's Massif valley, was designed by Bourgeois/Lechasseur architects in 2014. Villa Duinhove is a contemporary jewel crafted from glass, aluminum, and Jerusalem gold limestone. Michael Saunders & Company has global affiliations that produce the best results for our clients. Among them is Christie's International Real Estate. Drawing upon their success as one of the world's oldest art auction houses--and having a name synonymous with quality and integrity--Christie's hand-selects independent brokers for their wholly owned real estate affiliate network. Their reach, which includes the View from the Top's broker MS&C, includes 950 offices in 46 countries. We are proud to be associated with their top-notch brand. Newer PostNeed a Beach Getaway?